The back is truly an ingenious instrument. It is stable enough to support you when you’re upright, but also flexible enough to allow you to bend and twist. However, this ability also makes the spine vulnerable to injury. The McGill Back Functional Restoration Program is a treatment plan based off scientific evidence and research studies performed by Dr. Stuart McGill. His research investigated how to strengthen the spine while keeping it safe and limiting irritation utilizing neutral spinal principles. This program is designed to help patients take control of acute or chronic back pain, and is applicable across the lifespan. It can be helpful for numerous spine conditions including but not limited to degenerative disc disease, facet joint impingement, herniated discs, osteoporosis, sciatica, stenosis, osteoarthritis, and spondylolisthesis. 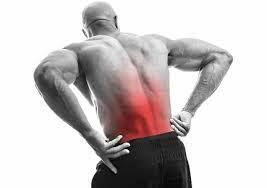 In order to take control of back pain it is important to learn the activities that are aggravating the spine and how to avoid these movements/activities. This program work closely with the patient to assess their daily tasks/movements, teach the patient how to be an active participant in their recovery, and tailor exercises to the patient’s specific needs. You will learn functional movement patterns, proper body mechanics, and advance through an evidenced based exercise progression to regain mobility and spinal stability. All of this will help you to return to pain free function, because you deserve to feel your best!